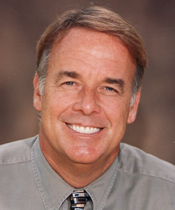 Sedation Dentistry in Santa Barbara Dr Mark T. Weiser — Dentist in Santa Barbara, CA | Dr. Mark T. Weiser D.D.S. Do you have a dental phobia? Sedation helps with that anxiety, leaving in its place a calm, relaxed feeling throughout the whole procedure. Having dental work done while asleep or sedated is increasing in popularity. Dr. Mark T. Weiser has created an environment in his office that is focused on your comfort during dental procedures but we also have a number of sedation dentistry techniques available to make your visit a comfortable one. "I am a firm believer in providing comfortable dentistry and everyone presents with different feelings about having work done. In addition to providing painless local anesthesia, we do offer Nitrous Oxide and Oral Sedation." Not sure which method of sedation dentistry is right for you? Read below for information or feel free to set up an appointment with us to discuss your options. Nitrous Oxide (laughing gas) is one of the safest forms of sedation dentistry available and it can take the anxiety out of most routine dental procedures including teeth cleaning. Most feel the onset effects of laughing gas within minutes and these effects are completely reversed within 5 minutes of nitrous being turned off. Nitrous oxide is a method of making dental work more comfortable but that also allows you to resume your day immediately after your appointment! Oral Sedation (or sleep dentistry) is a sedation method offered in our Santa Barbara dentist’s office that provides sedation by oral medication. This inexpensive option involves a deeper state of relaxation than nitrous oxide and is considered a safe method of relaxation during your appointment. We use Triazolam and you take it just an hour before your appointment. Our team takes and monitors your vital signs throughout the procedure ensuring your safety. For those who want more than relaxation during a dental procedure, we also offer sedation dentistry with IV Sedation. This process involved being completely “out” while being monitored by professional dental anesthesiologists who keep you sedated while monitoring vital signs throughout the dental procedure. Dr. Weiser and his team would be happy to talk to you about your options for sedation dentistry. Contact our Santa Barbara, CA, dental office at (805) 899-3600 for an appointment.